Over the years, the ability of Park Systems to consistently outpace the competition with critical technology innovations for semiconductor manufacturing’s cutting-edge wafer production has made them a world-leader in Atomic Force Microscopes and nanometrology. At the AFM luncheon, Dr. Sang-il Park will highlight Park Systems fast-paced leadership role in nanoscale innovations to improve accuracy, reliability and reduce cost for semiconductor manufacturers and their role as a leading innovator in emerging nanoscale microscopy and metrology technology. 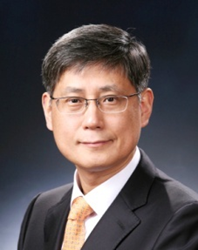 Dr. John Y. Chen, VP of Technology and Foundry Operations at NVIDIA, will present an informative talk about opportunities and challenges for new applications in the semiconductor industry, titled Growing the Semiconductor Industry as Moore's Law Slows Down. Dr. Chen will discuss how improving yield to levels beyond even today’s demanding standards would be the most profound way grow the industry and advance its technology. He will discuss why nanoscale metrology and Park AFM, with modern tools is critical to discover, learn, and eliminate the defects that prevent semiconductor products from becoming viable.